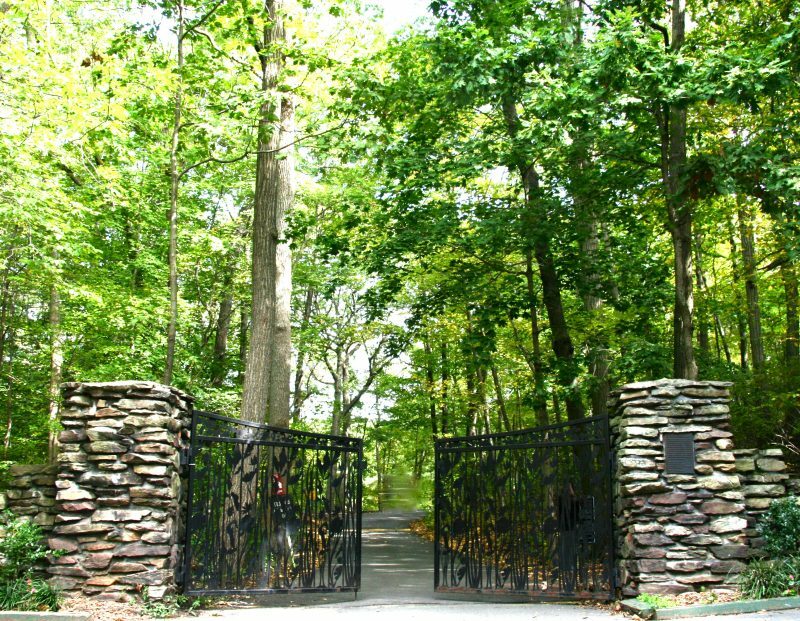 Gretta Moulton Gate, the entrance to High Rock Park atop Nevada Avenue, is a tribute to the leader of the successful effort to save High Rock Park. 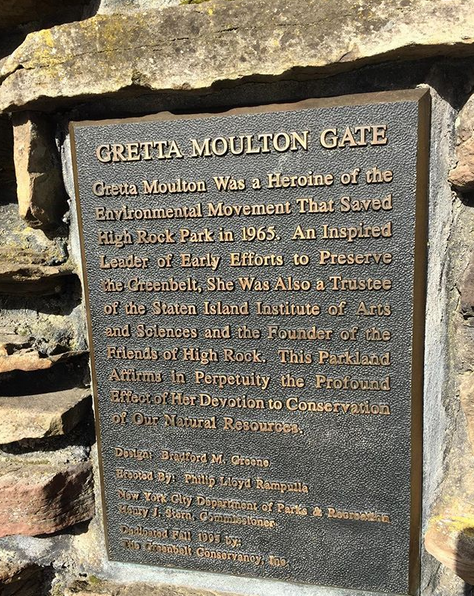 Raised from steel and stone and selfless dedication, Gretta Moulton gate atop Staten Island’s Nevada Avenue marks the entrance to High Rock Park, cornerstone of the Greenbelt. 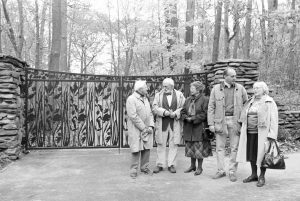 The double-sided gate, anchored by stone pillars on either side, was dedicated to Mrs. Moulton in 1994, some 30 years after she rallied citizens and politicians to save High Rock Park from pending development. The story about saving High Rock’s nearly 200 hundred acres of hilltop forest has its complexities, but Gretta Moulton was there for every turn of events. She was passionate about protecting the girl scout camp that High Rock was from residential development and she persuaded many influential people to share her vision and join the cause. The black steel gates reach up to seven feet and display a motif of indigenous animals and plants. the New York City Art Commission. This fitting memorial to Gretta Moulton was made possible with contributions from a fund established in her name and augmented with monies from the Greenbelt Conservancy. Thousands of visitors pass through the Gretta Moulton gate each year seeking a quiet place to relax and learn about Staten Island’s natural side. We all owe that privilege to Gretta, the visionary who saved High Rock Park. 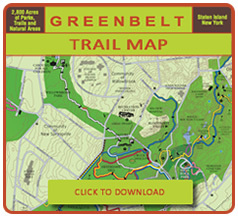 Gretta Moulton was a heroine of the environmental movement that saved High Rock Park in 1965. 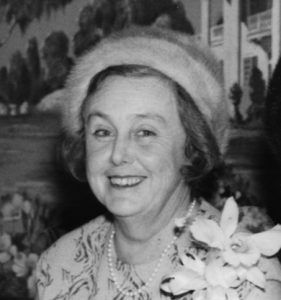 An inspired leader of early efforts to preserve the Greenbelt, she was also a trustee of the Staten Island Institute of Arts and Sciences and the founder of the Friends of High Rock. 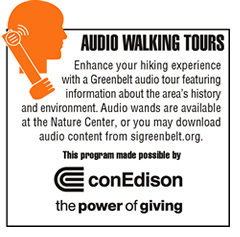 This parkland affirms in perpetuity the profound effect of her devotion to conservation of our natural resources. 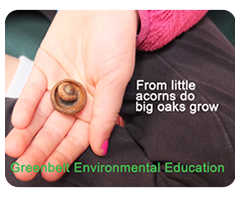 Dedicated fall 1995 by: the Greenbelt Conservancy, Inc.